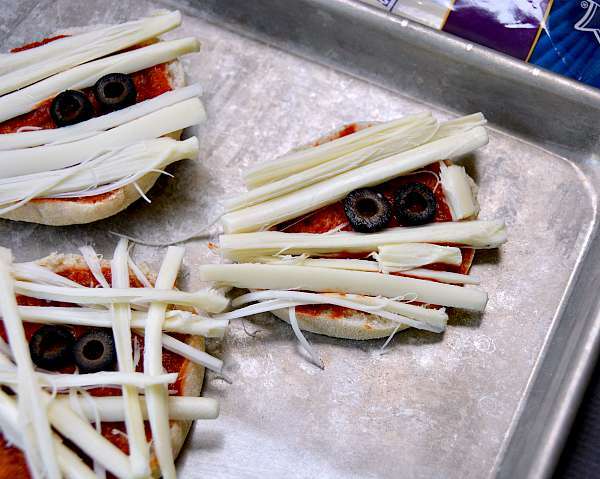 Make your kids a festive Halloween recipe with this easy mini pizza recipe! Halloween is one of my kids absolute favorite holidays. On November 1st every year, the kids begin discussing what they should dress up for the next year. As they've gotten older they've also really started loving fun Halloween themed food in October. I usually make Halloween cookies, but this year I thought I'd up my game and make a mini pizza recipe to put in their lunches. 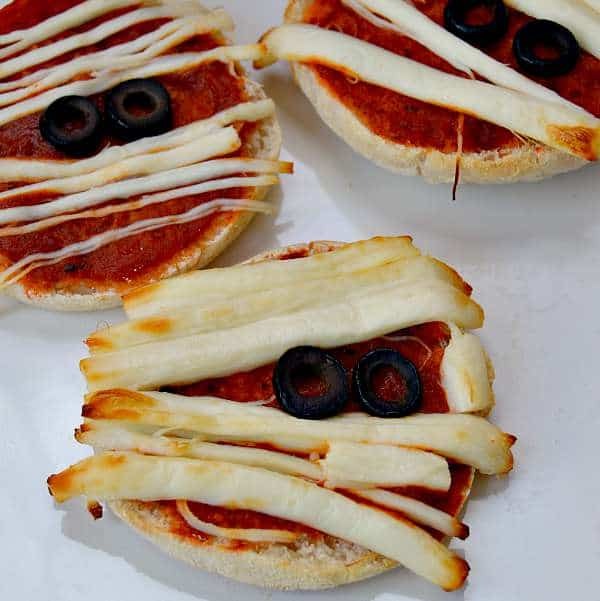 This is a super quick and easy recipe to make using English muffins, pizza sauce, black olives and Crystal Farms String Cheese. Crystal Farm cheeses are made in Lake Mills, Wisconsin and are one of the largest cheese producers in the country. The cheese is a natural product with few preservatives and is a rich source of calcium. They are also gluten free. 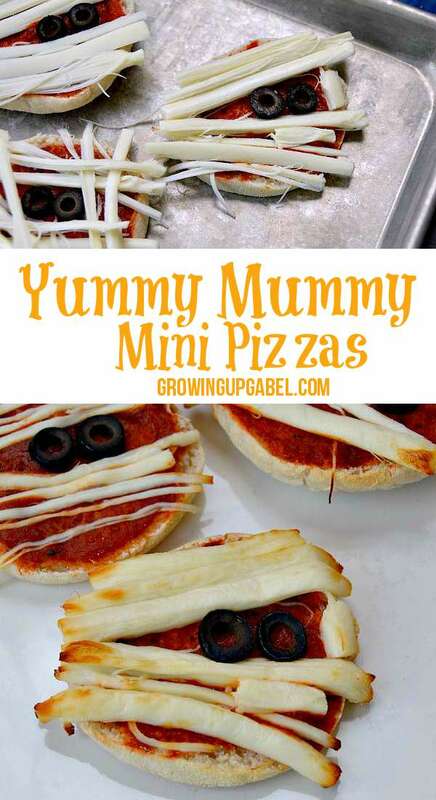 I made the mini pizzas in the morning and put them in the kids lunchboxes for lunch. Just spread a little pizza sauce on half of an English muffin. Next pull apart the Crystal Farms String Cheese to look like the mummies wrappings. Lay the cheese across each muffin. Finish with sliced black olives for the eyes. Bake at 375 degrees until the cheese melts a little, about 10-15 minutes. 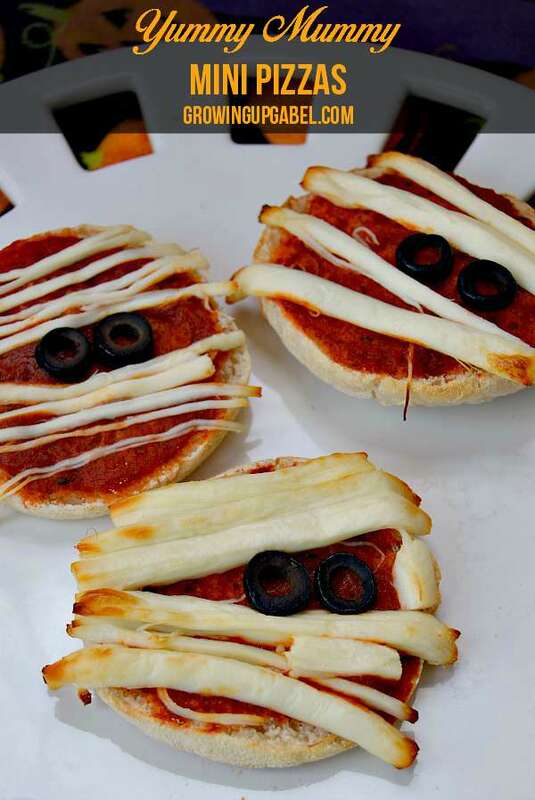 Your kids will love these in their lunches or for a fun Halloween dinner! 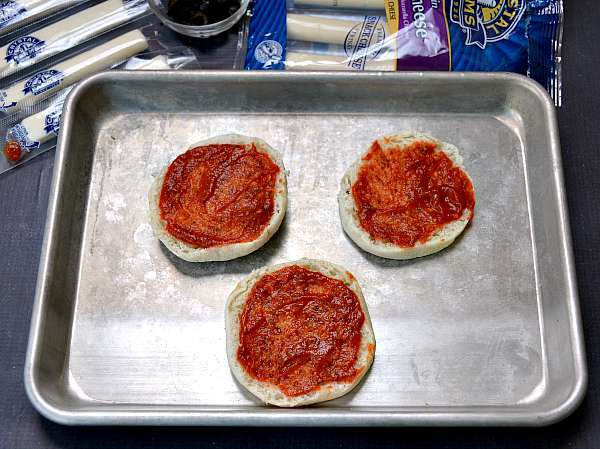 Use the back of a spoon to spread about a Tablespoon of pizza sauce on the face of each English muffin half. 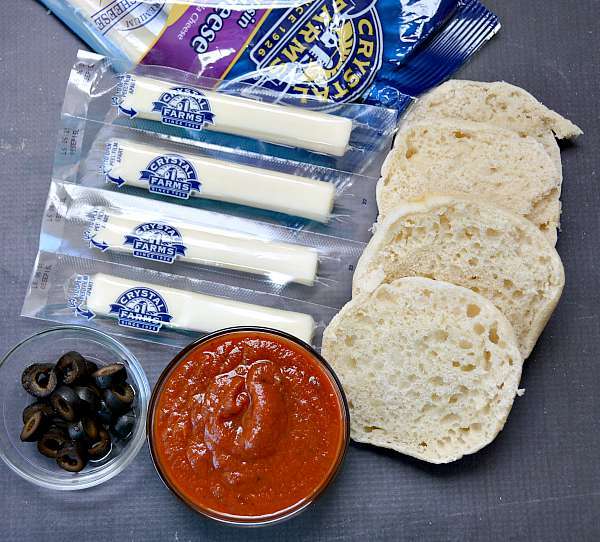 Carefully peel strings of cheese apart from the Crystal Farms cheese sticks. 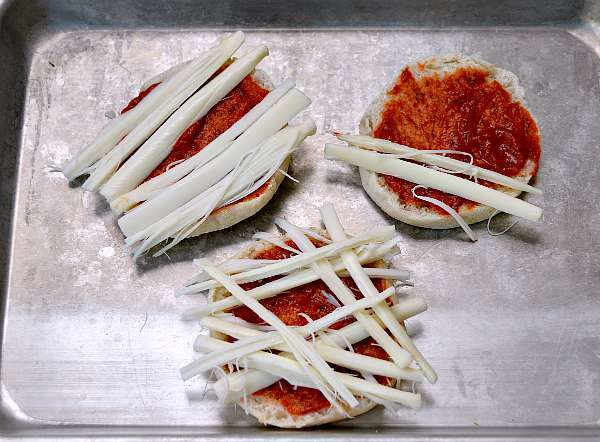 Lay on top of the pizza sauce across the English muffins making sure to leave an opening for the "eyes." Place 2 black olive slices in the eye slit. Bake at 375 degrees for 10-15 minutes or until the pizzas are hot and cheese has started to melt. Make sure to check out Crystal Farms Favorites and follow Crystal Farms on Facebook, Crystal Farms on Pinterest, and for more great recipe ideas! And because Crystal Farms wants your kids to have a fun lunch – they are giving away one Bento Lunchbox set, valued at $28, to YOU! Just enter in the form below and GOOD LUCK! That’s the perfect Halloween dinner! Thanks for linking up to the Creative K Kids’ Tasty Tuesday! Great recipe for a Halloween party. Thanks for sharing. Stopping by from Create and Crave. What a deliciously cute idea.